How do you track directly towards your distant destination, but still have timing points along your route? You could set up user waypoints along the way, but that could potentially be time consuming. 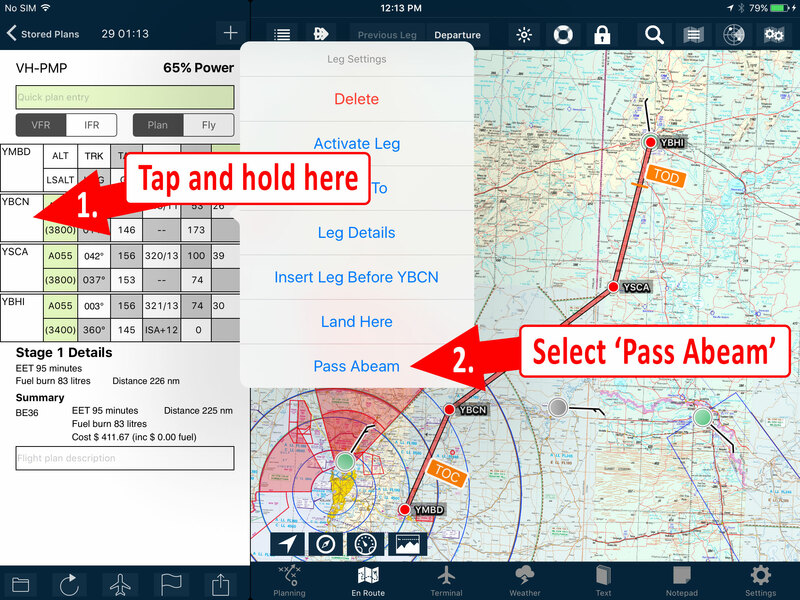 The answer is AvPlan EFB’s Pass Abeam feature! Using large, easily visible features along your track you can maintain your straight-through track and still use those features to confirm your navigation. In some instances, this will save quite a few track miles — therefore time, fuel and money! Note the Summary tells us that it is 225 NM, travelling via those turning points. Note the overall distance has been reduced to 215 NM, but we still get to use those points as reference whilst flying our plan. 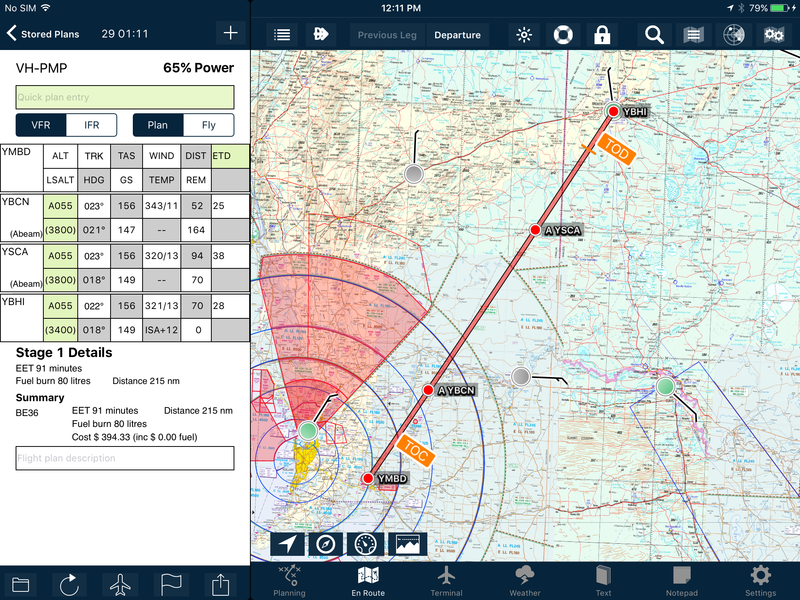 Any Abeam waypoints will be noted by (Abeam) appearing in the waypoint name field within the flight log, and on the map an ‘A’ will appear in the waypoint label before the identifier code. You can even submit your plan with these type of waypoints. 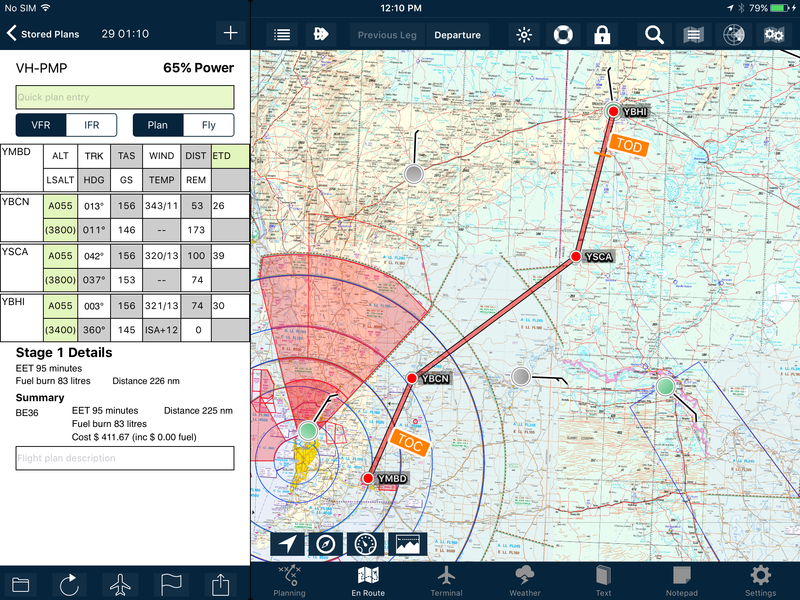 When submitting your plan, those waypoints will automatically be sent in a format that will be understood by your local air traffic authority (for example, distance and bearing from the original waypoint). To undo a waypoint that has been set to Pass Abeam, tap and hold its line in the flight log. Then select the option Overfly, that now appears in the same menu position that Pass Abeam held previously. Give it a try on your next VFR cross-country!